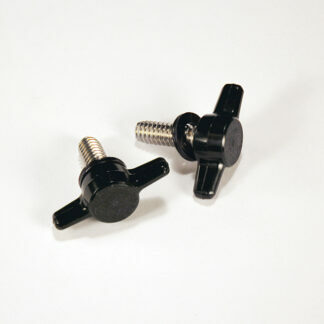 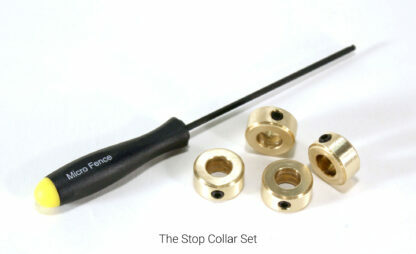 This package includes our Edge-Guide and our Stop Collar Set. If your router of choice has an asterisk after it, you’ll need to add one of these to mount your Edge Guide on it. 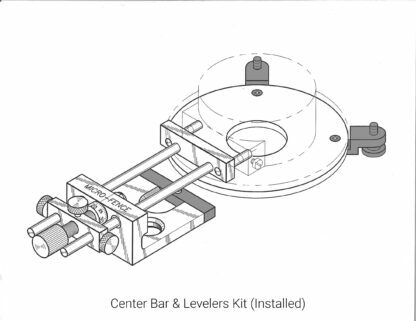 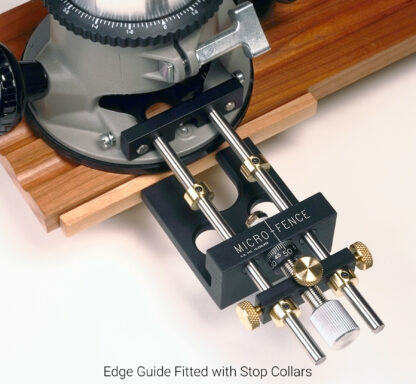 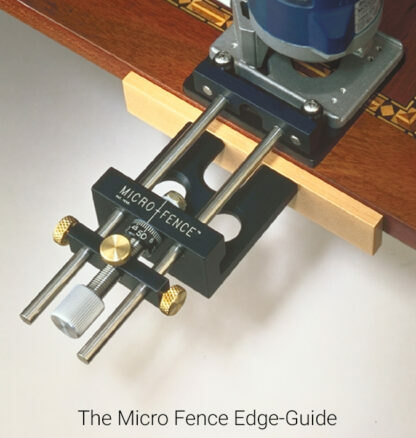 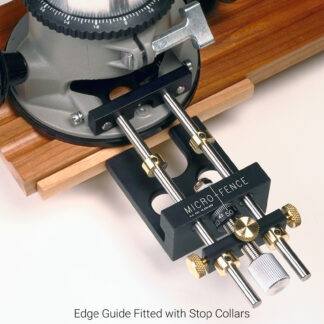 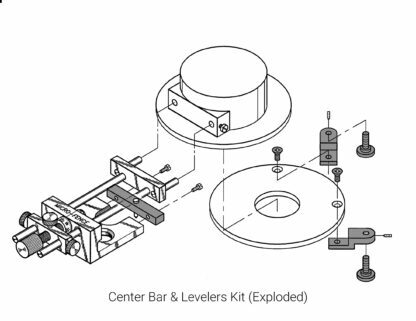 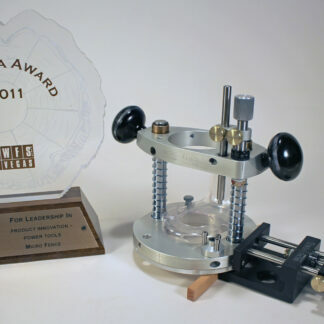 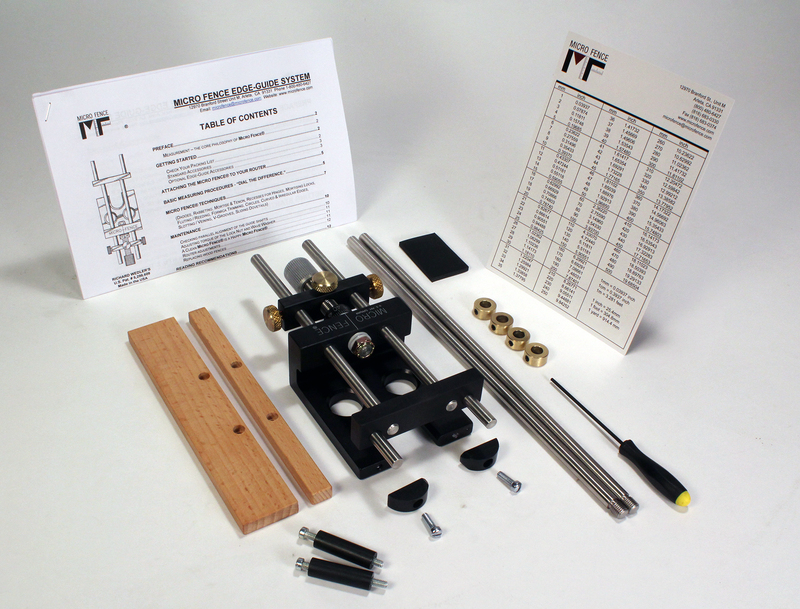 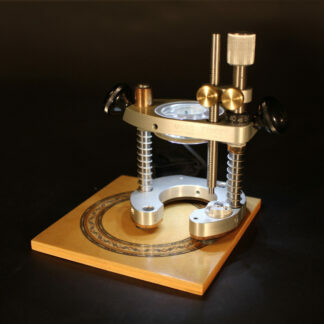 What comes in the box: The micrometer-adjusted Edge Guide, both 7″ & 12″ guide-shafts , both hi and low-profile wooden fences, half-rounds to follow curves and circles, 1 1/4″ stand-offs to increase the reach of the tool, all necessary hardware, our decimal/fraction/ metric equivalency chart, instruction booklet and a set of our Stop Collars (for ‘memorizing’ or pre-setting cut positions). 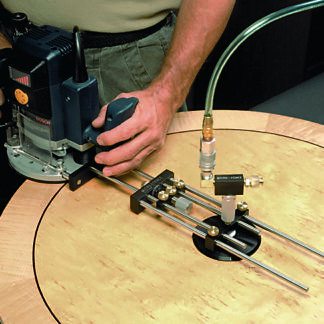 Which router do you have? 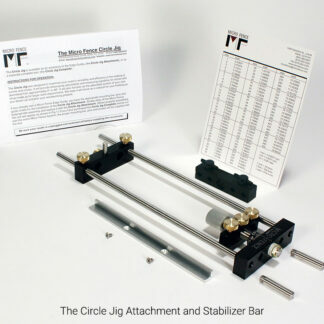 (Those with an asterisk require an additional Sub-Base Assembly to provide points of attachment).